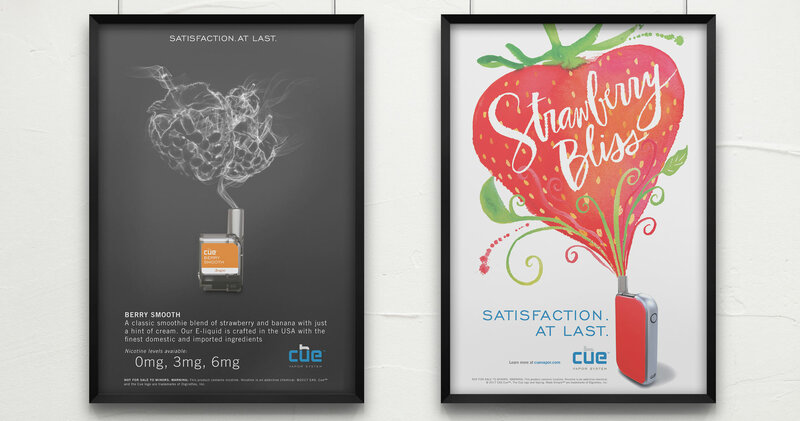 Brand poster designs for C-Stores that highlight flavor profiles for the newest vapor device on the market. 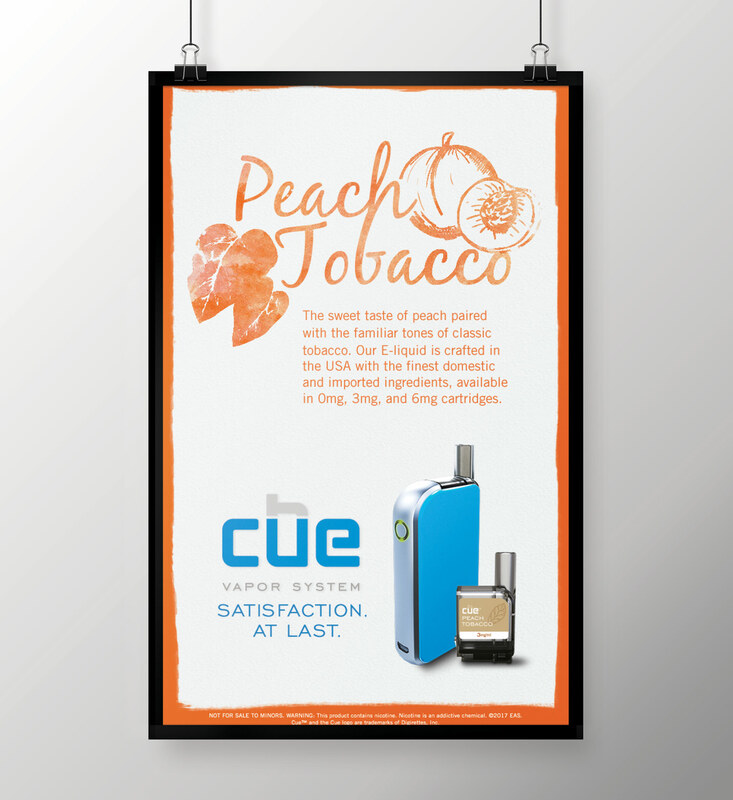 Consumers that are new to vaping, and are looking for flavors that they recognize. 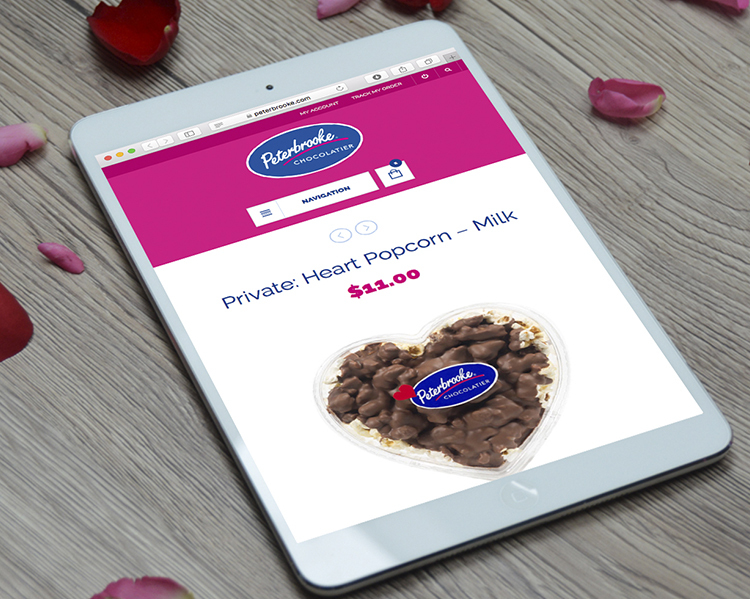 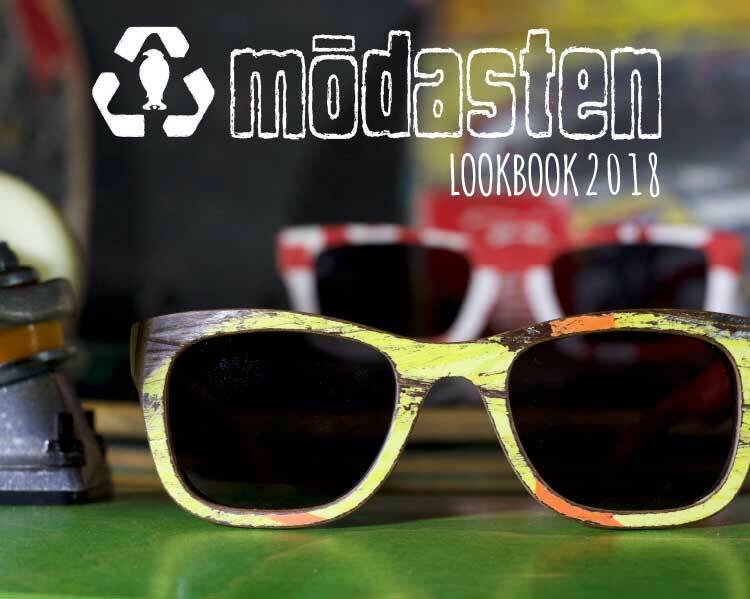 The target audience is looking for something recognizable and delicious. 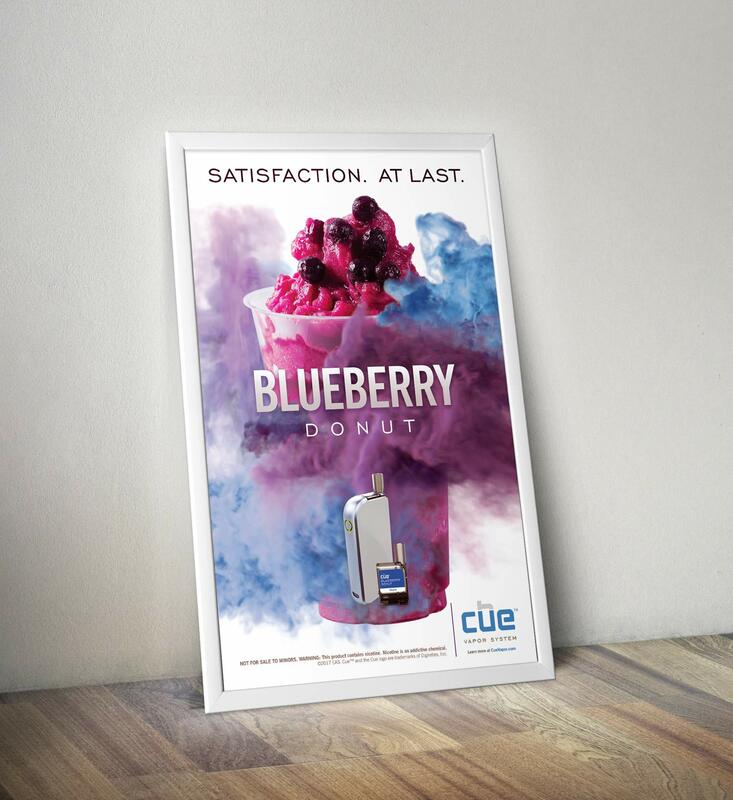 We are inviting those that are new to vaping to come try these flavors that are representative of things like nice berry smoothie or a smooth tobacco drag. 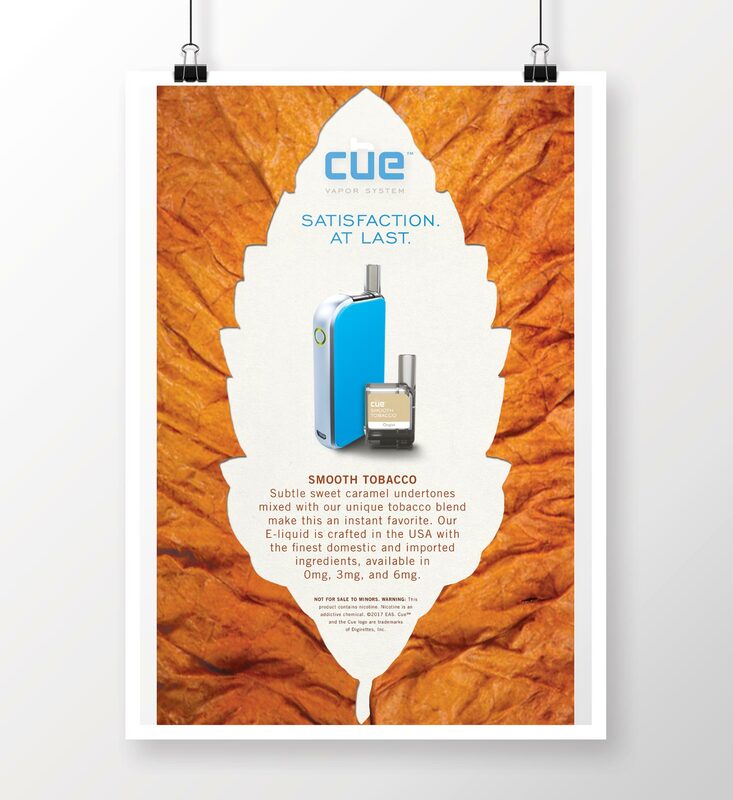 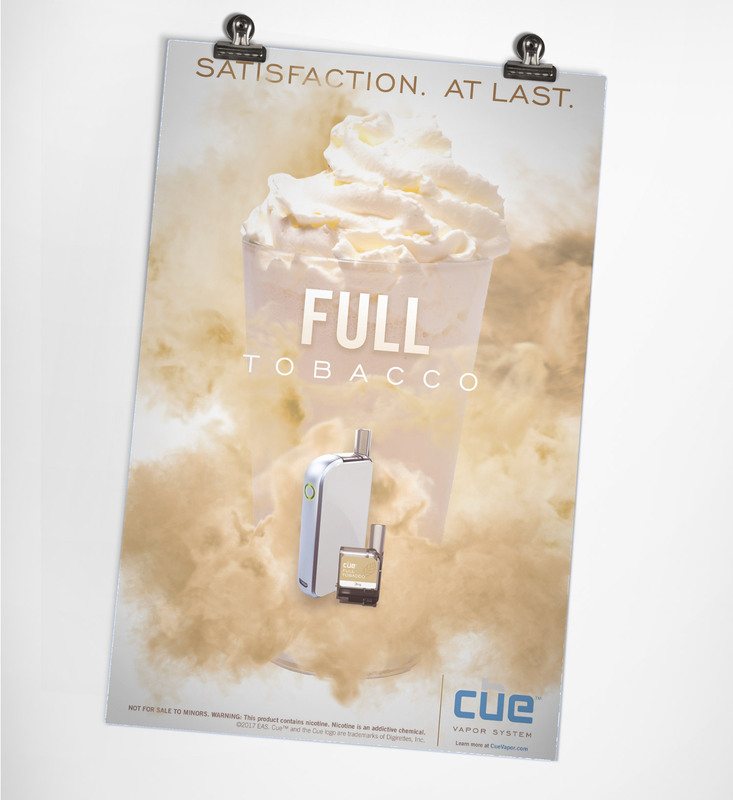 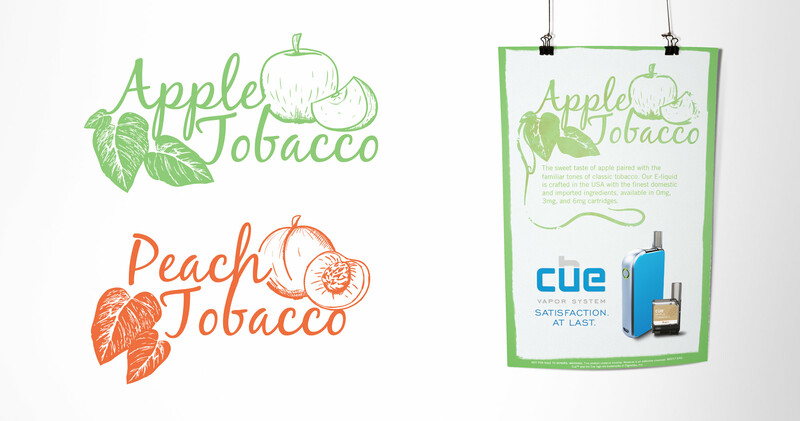 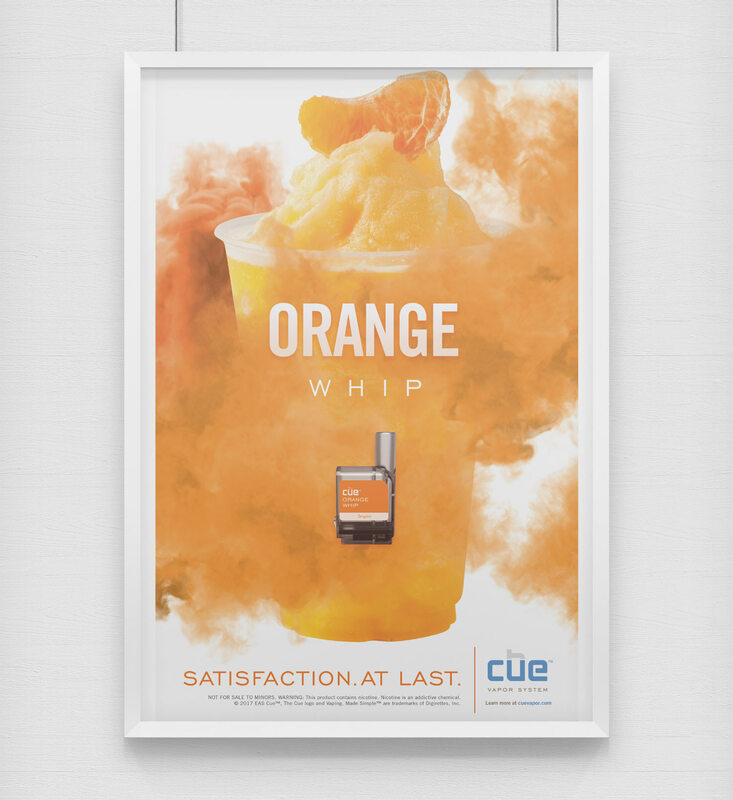 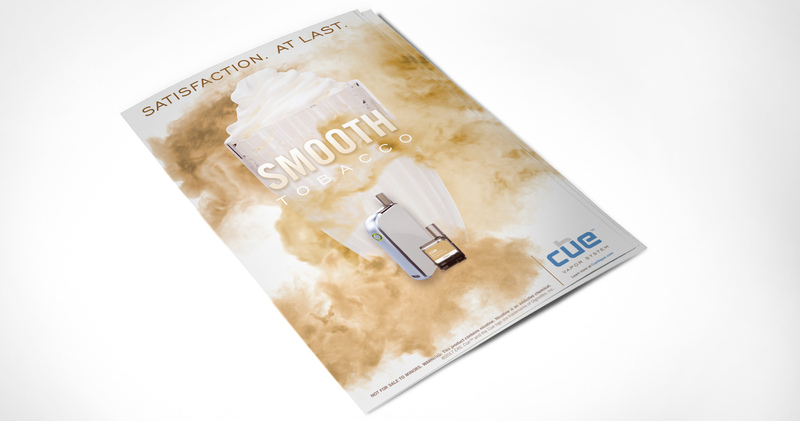 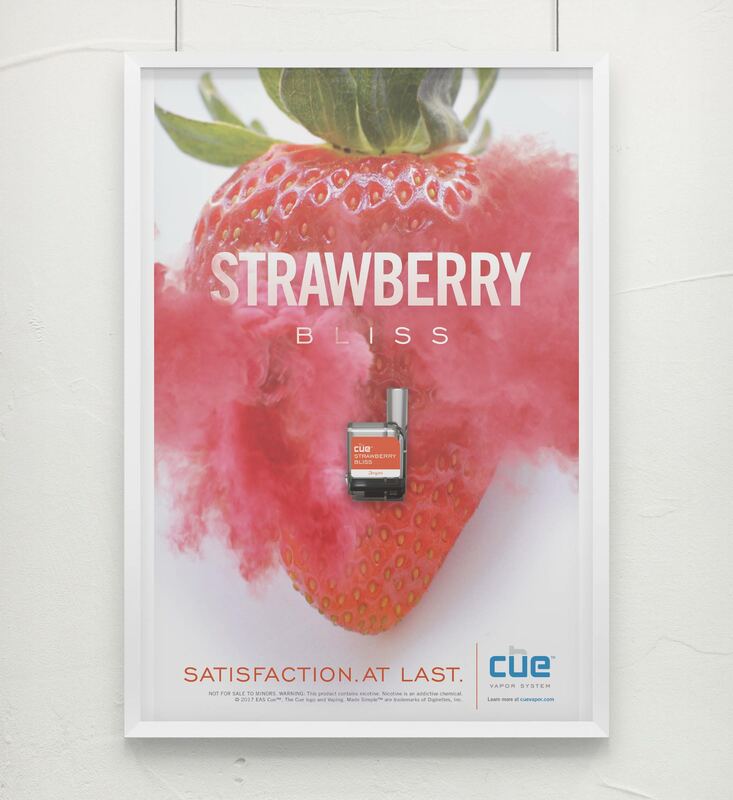 The design of the branded CUE posters mimics the flavors they represent through drinks and smoothies showing the quality and taste of CUE E-Liquids.